On our visit to Malavi school the other day we encountered some of the issues that make sustainability of PV systems in Malawi so difficult and show why all of the aspects of sustainability are important and interdependent. Sustainability is often discussed in terms of ‘pillars’ – economic, social, technical, institutional and environmental. The system at Malavi school was installed 5 years ago and a model put in place that attempted to address these pillars. An energy committee was elected by the community and trained in the basic technical aspects of the system. A programme of income generation activities was initiated to create a revenue stream for a maintenance fund along with a logbook system for recording system and financial data. For several years the energy committee built up a maintenance fund and worked with the community to encourage them to come and charge phones and utilise the system. Staff from the Polytechnic checked in with the community from time to time and their logbook data was monitored by an MPhil student at the Polytechnic for his thesis. However, during this time there was a continuous issue with light bulb failures. 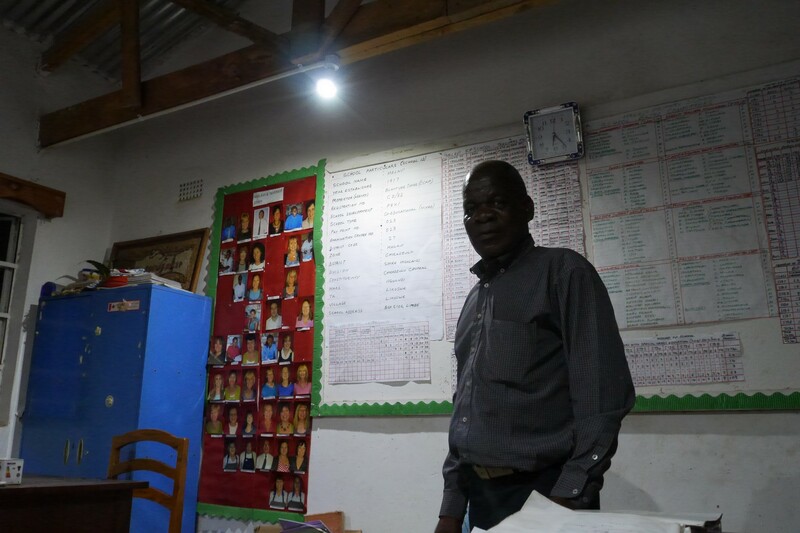 The energy saver CFL bulbs supplied as standard in this type of installation are spec’d as long life but in many of the installations we are aware of around Malawi the performance is very poor. Although there was a maintenance fund in place, bulbs were expensive and difficult to source for the community. This issue gradually eroded their maintenance fund and caused confidence problems in the community. Last year an inverter failure meant that the maintenance funds were emptied to purchase a replacement. The lengthy period of system downtime and a further technical issue stopped income generation activities and the maintenance fund remained empty. Continuing light bulb issues meant that when we arrived this week, there were very few bulbs remaining in operation. The majority of the system was in good working order, however as may be expected after 5 years there are now some battery issues cropping up. We are continuing to support the energy committee and have a plan in place to get them back on track with further training and re-starting the income generation scheme. However, this goes to show how fragile the sustainability of these systems can be and even where there has been good community engagement, training and income generation that looked to have created a promising model, this can be broken easily and the level of initial and ongoing support for communities like this clearly requires careful planning based on well documented lessons learnt and best practice. 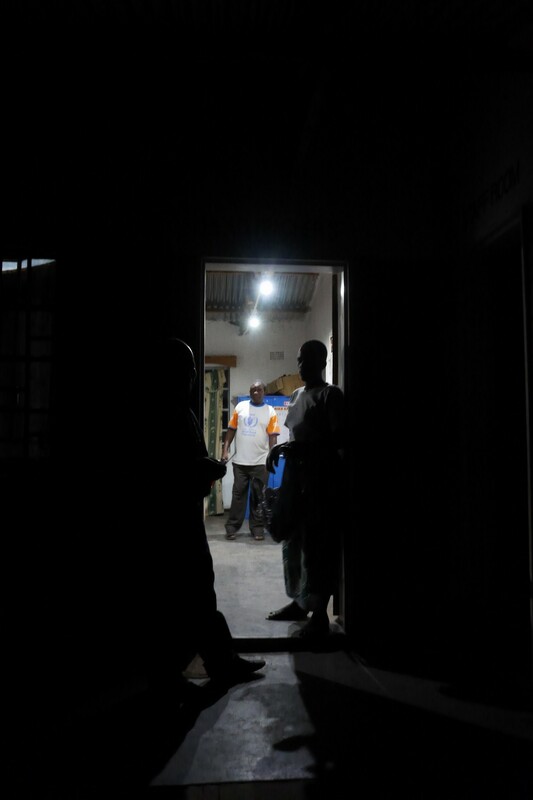 Lessons from Malavi are that although the core system components perform to spec, light bulbs and inverters performed very poorly and warranties were not honoured. This meant that an expected 5 year maintenance cost of 10% system capital cost was in fact closer to 20%. Examples like this are widespread across Malawi, although unfortunately many have been left to fall into further disrepair. Lessons learnt and best practice has not been gathered from these examples, however in the MREAP programme (and working with other national networking and database initiatives) we are gathering data across all the community projects to establish realistic and practical guidelines for sustainability.